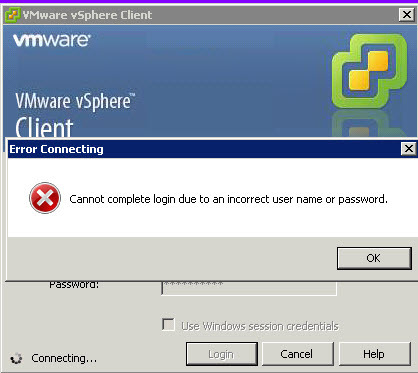 After upgrading to vSphere 5.1 or installing from scratch you may be in a situation where you cannot authenticate with your vCenter Server when using a domain user. 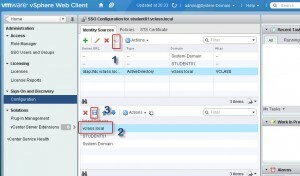 Prior to vSphere 5.1 and the Single Sign On Server SSO you were able to login directly with your domain user without supplying the domain name. There are two solutions to the problem. When logging in with your domain account add the domain to the user name. You can do this by either writing: DOMAIN\USERNAME or USERNAME@DOMAIN the result will be the same. Perhaps you don’t feel this is the right solution for you. You may only have one domain so why should you always write the domain in the log in box. If this is the case see solution 2. 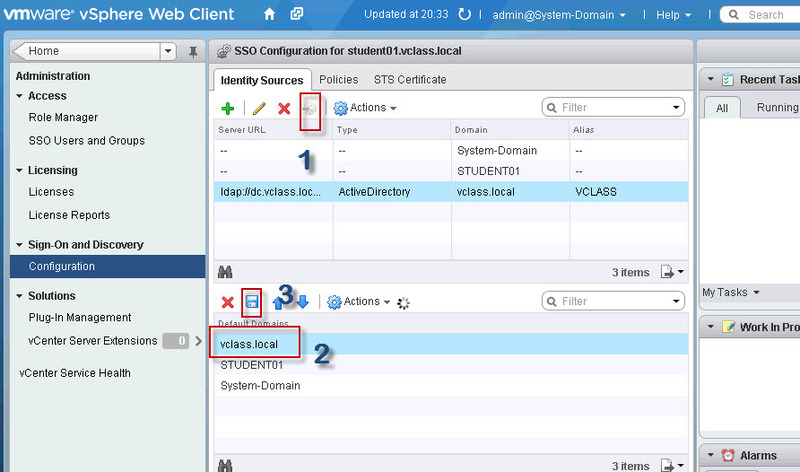 What you are able to do with SSO and vSphere 5.1 is to add your DOMAIN to the default domain list. you can only accomplish this from the vSphere Web Client. What you need to do is log in to with the user name admin@system-domain and the password defined for this user during installation. Then you go to “Home” – “Administration” – “Single sign-on and discovery” – Configuration. In the identity source window you select your domain and press the “add to default domains” button. If your domain is not present, then you need to add it. You can also add multiple other domains. After adding the domain to the list you then make sure that it is on top of the list in the “Default domains” window. And at the end you press the “Save” button. 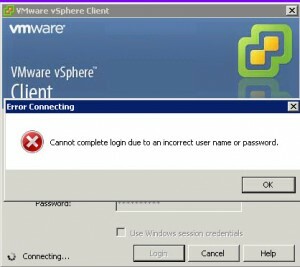 By doing this you should now be able to log in without supplying your domain name in the vSphere Client or vSphere Web Client.